© The Licktators UK Ltd.
For the cool kids who owned a Discman back in the late '90s, the words “woo hoo” will forever remain tied to the raucous, barely understandable chorus of Blur’s "Song 2." And now the quartet has another addictive addition to your life. We’re not talking about their new studio album (their first in more than a decade)—we’re talking ice cream. 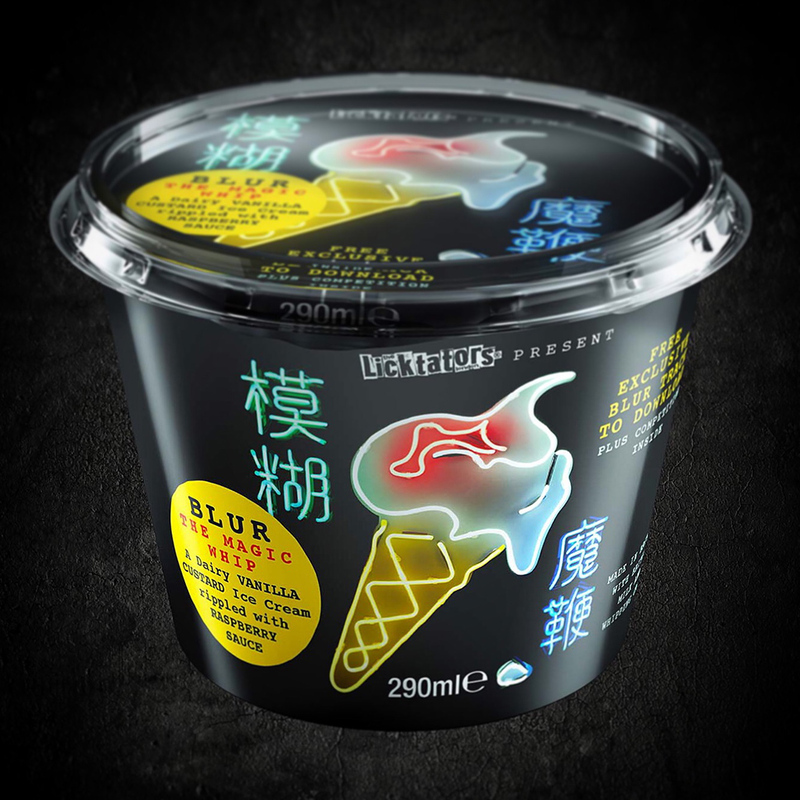 Self-styled British “ice cream revolutionaries” Licktators are responsible for the new Blur ice cream named The Magic Whip after the new album. You might remember Licktators as the creamery that celebrated the birth of the new royal baby with breast milk ice cream. The Britpop dessert—vanilla custard laced with raspberry sauce—is a bit more reserved.